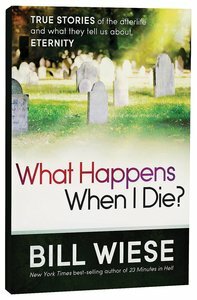 These are questions that Bill Wiese, best-selling author of 23 Minutes in Hell, is asked everywhere he goes. Is there life after death? Do heaven and hell really exist? What happens to me when I die? You&'ll be surprised, and maybe even shocked, as you read about near-death experiences, deathbed visions, last words of famous people, and visits to heaven and hell, and you will see how these encounters line up with scriptures from the Word of God. In a moment our lives will be over. We are all only a heartbeat away from eternity, and there are no second chances. What will you decide? About "What Happens When I Die?"